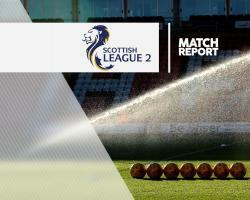 Montrose are still searching for a first Ladbrokes League Two win of the season after battling back from two goals down to earn a 2-2 draw with Annan at Links Park. Annan started brightly and went ahead after just two minutes when Rabin Omar's long ball from his own half found Darren Ramsey and he fired a left-footed shot past Alan Fleming. The visitors doubled their advantage with just seven minutes on the clock when Ramsey's corner from the left was driven home by Maxwell Wright. Montrose pulled a goal back in the 53rd minute when A Trialist headed home and they were level nine minutes later when Gary Fraser nodded in Ross Campbell's cross.